It’s hard to deny that retail has had a tough couple of years. The retail market oversaturation has caused mass store closures in 2019 with no end in sight. In 2018, we saw store closures from national and multi-national retailers such as Toys R’ Us, Sears, and Sam’s Club. These closures have resulted in over 150 million square feet of retail space going dark. The recent announcement of Payless filing for chapter 7 bankruptcy protection adds 2,500 store closures, bringing the total for 2019 thus far to 4000. These are the highest level of retail vacancy we’ve seen since 2010. Coupled with the rise of online shopping, many retailers have stopped their rapid expansion and have shifted their focus to succeeding online and adopting a stricter real estate strategy expanding only to class A shopping centers and malls. This leaves mall and shopping center owns in a precarious situation because of the dwindling number of retailers looking to expand and fill these empty store fronts. So, what are retail landlords supposed to do? Well, some have turned to repurposing empty retail locations into coworking facilities. This trend is growing surprisingly fast with estimates that coworking space will grow at retail properties by a rate of 25% annually through 2023. An early adopter of this trend is Macerich which owns more than 52 million square feet of retail real estate. 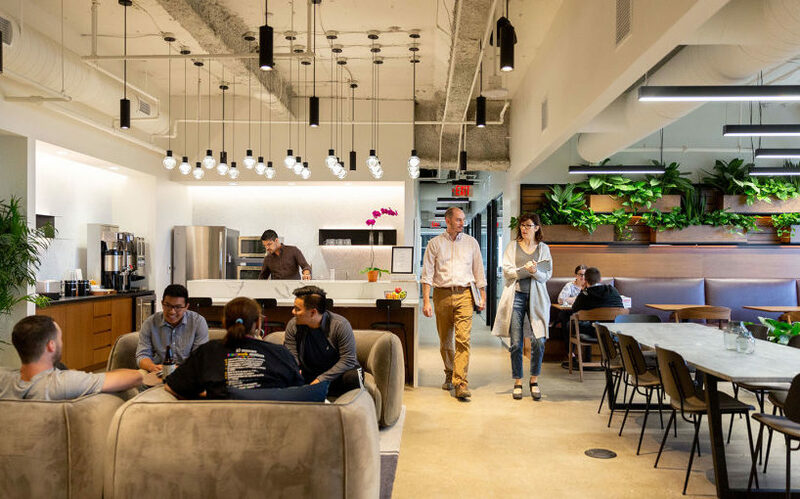 Macerich partnered with coworking giant Industrious to bring shared office space to facilities that retailers have left vacant. Companies like WeWork are also following suit with the announcement that they’ll take over Hudson Bay’s Lord & Taylor flagship store in Manhattan. The goal of these locations for mall operators is to serve as incubators for new brands that could eventually run stores of their own within those very locations. Landlords seem to be more interested in fostering relationships with the young companies that grow within these coworking spaces. These coworking facilities seem to be filling a growing desire of young professionals to have alternative workplaces outside of the traditional office. With 43% of employed Americans now spending some time working remotely, it seems only natural these workplaces would be in close proximity to popular restaurants and other experiential experiences that are found in malls and shopping centers.